Guest Post from Medix CEO Andrew: Thank You to the Medix Team, Talent, Clients and All Supporters! Yesterday, Medix announced we ranked number 3,970 on Inc. Magazine’s Inc. 5000, a list of the fastest growing, privately-held companies in America. 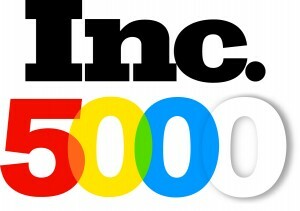 As this is our fifth consecutive year on the list, the Medix team is officially on the Inc. Honor Roll! Accolades such as this would not be possible if it was not for four groups of people: the Medix team, our talent, clients and loyal supporters. The Medix Team. We span across the country in 14 offices, but there is one thing that ties us together – our drive to positively impact as many lives as we can! This drive and the team’s dedication to our core values is incredibly inspiring, and I am always so grateful to have this family. Our Talent. These individuals lock arms with us every day, trusting Medix with something incredibly important in their lives – employment. Our talent is a hard-working group, and they are our motivation to always evolve as a company. Our Clients. We are only as strong as the partnerships with our valued clients. Together, we create opportunity for job seekers coast-to-coast while addressing the challenges facing their business. They make our jobs fun and exciting as we innovate together. Our Supporters. Regardless if you’re a family member, vendor or Facebook follower, if you are reading this, you have supported us in one way or another on our journey to positively impact lives. Thank you for helping us along! 2015 has been a great year for Medix so far, and we are looking forward to sharing this with everyone through more created opportunity for our talent, clients and communities! This entry was posted in Clients, Currently Employed, Job Seekers and tagged Inc. 5000, Positively Impacting Lives. Bookmark the permalink. I would like to know how to respond to why I was dismissed from my job of 14 years at a local hospital. I asked if I could work at least 21 hours a week to collect benefits but I was informed that if I did not accept the job EVERY weekend I would be dismissed. Up till then I had worked on-call as a Registered tech. My then supervisor and I did not see eye-to-eye but I did not let her supervisor know how extensive her toxic behavior had become. I have looked for positions in that field for some time but to no avail. I believe she has damaged my reputation as a reliable tech.